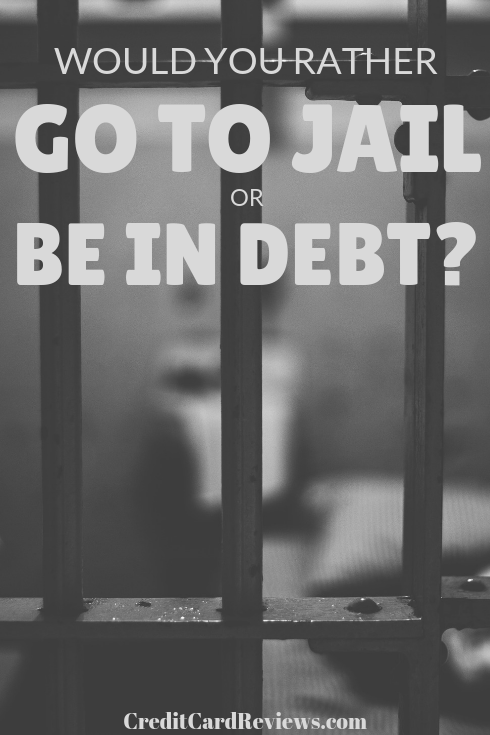 Would You Rather Go to Jail or Be In Debt? Now listen: I’m someone who has been in both student loan and credit card debt in the past. So, I definitely understand how financial woes can feel suffocating. You may even feel like you’re held captive by those lenders and their never-ending statements or reminders. Even still, I can honestly say that I would absolutely be unwilling to go to jail in lieu of that debt. But it seems that there are quite a few Americans who would be willing to do just that – actually sit behind bars rather than be in debt – in addition to some other crazy trade-offs…. all in the name of being debt-free. The survey only polled 2,000 Americans, which is a fairly low number from a statistical standpoint. However, it still gives an interesting view of how suffocating debt can be, and the level of desperation that so many can reach. When you expand the results to the American population, the numbers are truly shocking. It seems that many adults in our country would be more than happy to give up some of their most basic freedoms in exchange for breaking the chains of debt. For some, these freedoms are invaluable. For others, there’s a finite price… and it’s equal to the balances owed on their credit cards or student loans. 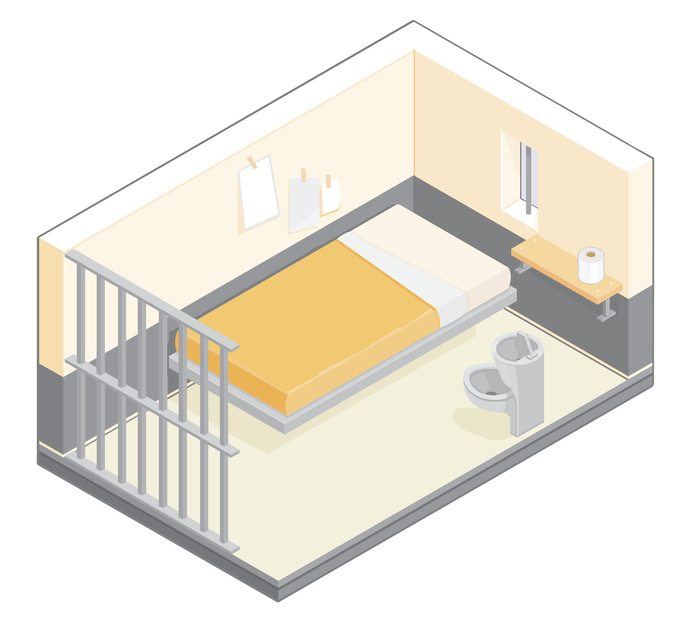 According to the survey, 1.5% of respondents would actually give up their freedom – and go to jail! – if it meant that they would have their debt cancelled. Expanded to the country’s total population, this means that 3.5 million Americans would prefer iron bars to monthly debt repayment. Another 4.2% of respondents would actually be willing to switch political parties in exchange for a debt-free life. While some of those adults might not be as passionate about their Left vs. Right affiliations as others, it’s still a shocking response in our current, politically-charged times. Expanded into the general population, this would mean that 10.5 million Americans are happy to trade red for blue (or vice versa). Perhaps most surprising to me were the number of respondents who would be willing to give up their right to free speech. I’m no fan of North Korea’s policies, but as many as 6 million Americans might be: 4.2% of those surveyed would be happy to trade their debt for their right to free speech! If you’re one of those who would have happily traded your debts for your freedoms in a survey such as this, I’m sorry to be the bearer of bad news. There’s no way for you to hand over your browser history, switch political parties, or sacrifice your religious freedom in exchange for debt forgiveness. However, there are a number of ways that you can make your debt a little bit more manageable. Some professions offer debt-forgiveness programs, such as those for lawyers or teachers working in certain areas of the country. You can also look into balance transfer offers or even debt consolidation, to lower your payments and interest rates. Both will get you out of debt sooner and for less money. You can also just work on your debt the old-fashioned way: with good ol’ dedication. It’s never fun to make payment after payment, budgeting and saving every penny you make. However – as these survey results would support – debt can be pretty suffocating, and you want to climb your way out as efficiently as possible. With the right moves, you can not only erase your debt, but also avoid landing there in the future. And you can even avoid an orange jumpsuit in the process.